One of the finest front-wheel-drive performance cars ever made. It’s incredibly quick and still easy to drive if you don’t want to be a hooligan. 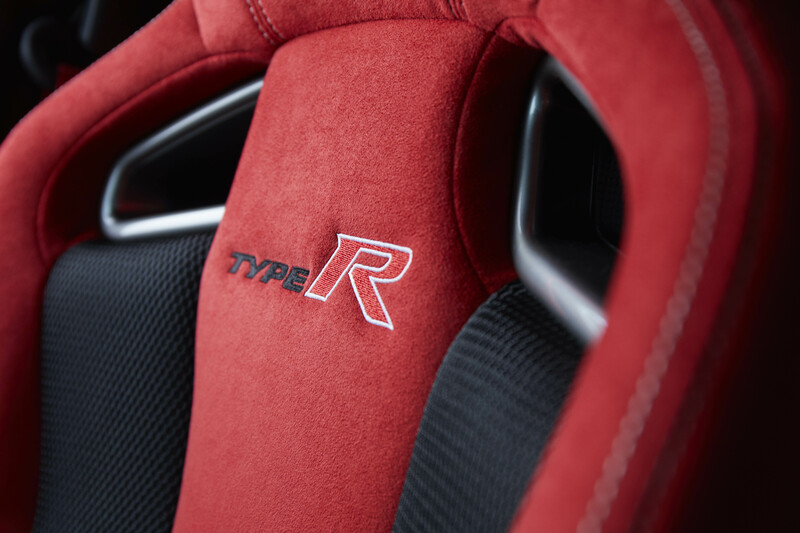 A New, New Honda Civic Type R! 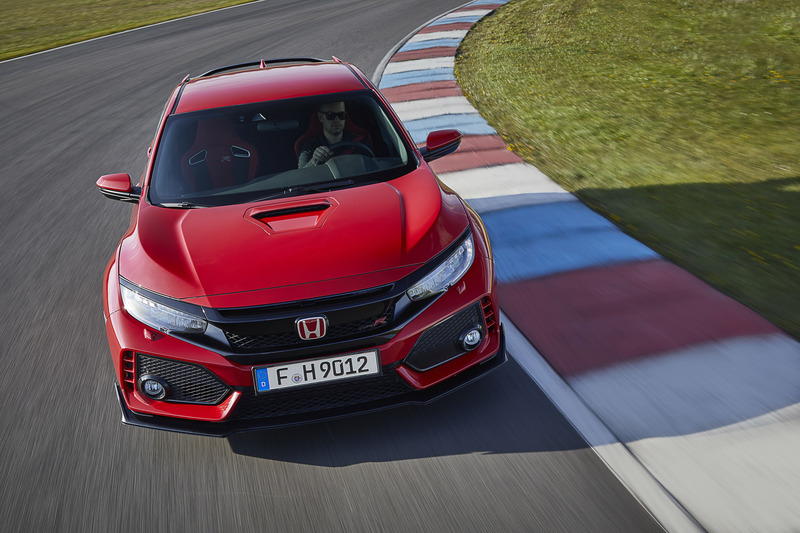 Now, the last Honda Civic Type R was a bit mad styling wise. 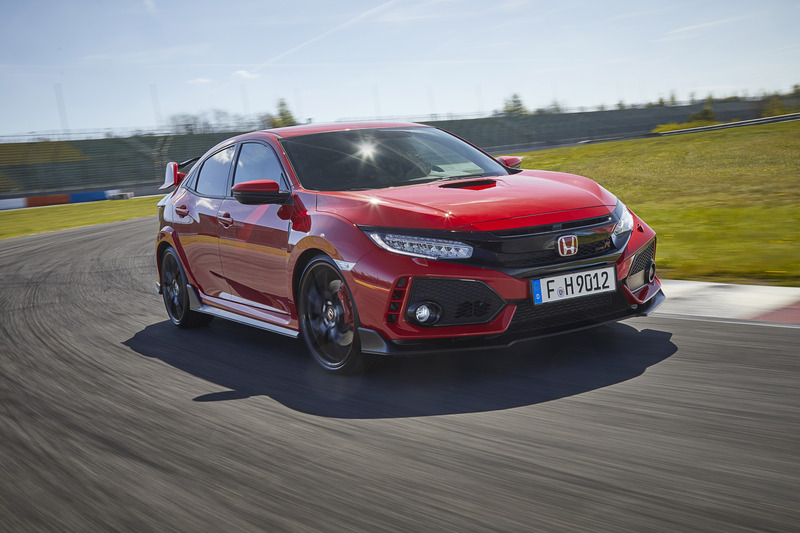 It’s tremendously aggressive and in-your-face look didn’t turn everybody on, and as a result, the new Honda Civic Type R has a lot less of that aggression going on. It’s a better rounded, more conservative style overall, but it still looks the business even if it has lost some of the angular madness of the previous model. Extra points offered for the triple-exhaust at the rear and the big wing – which thankfully hasn’t been axed by the stylists. The interior is now much better, too, mostly because the new Civic has done away with the odd split-level dash from the previous generation, so it’s more normal now. Funny to say that about a modern car, but in this case a return to normality is a plus point. Better materials in some places and the excellent seating cap off a much better interior effort. On the road – the best bit! This might be a Honda Civic, but it’s a Honda Civic that can do 169mph – think about that for a second. The incredible speed is brought to you by the same 2.0-litre VTEC turbo engine from the last model, but it’s tuned to produce an extra 10PS. So, it’s now putting out around 320 of those German measurements of power. This is one of the fastest front-wheel drive cars you can buy, so of course some understeer can be found at the limit, but you have to be really going some to find it. On the limit, you’ll get lift-off oversteer, but balancing the car as it changes direction and enters braking zones is a ton of fun, the New Honda Civic Type R does a great job of communicating with you exactly what’s going on. It’s a car you can get into right away, drive incredibly quickly and not feel threatened. It’s brilliant. 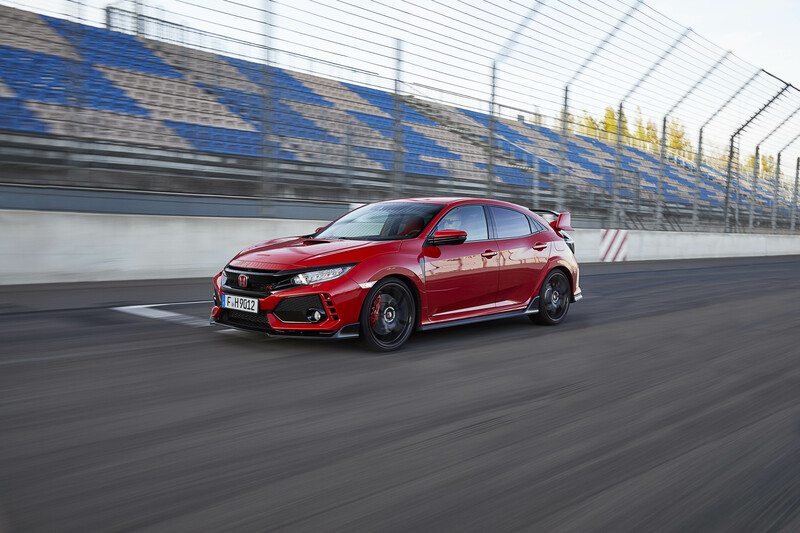 Away from the performance and the capability the new Type R has as a performance car, this is a normal Honda Civic in terms of overall practicality. There’s five seats with room for people to sit and be comfortable in, a boot with enough space for a big weekly shop, and if you’re really feeling good you might be able to get around 35mpg from the engine. Of course, the last Civic Type R was the same, but its practical side was hampered by a firm ride that many people didn’t like. The new car has got rid of that problem and now at normal everyday speeds, this behaves pretty much like a regular Civic. It’s the same story with the equipment as it is with the practicality. This is still a Honda Civic essentially, so cruise control, sat nav, climate control, basically, all the mod-cons that a new car provides can be found here – you know what’s what by now. We reserve a special shout out to our friends ‘the safety equipment’ who kept us facing in a straight line on a racing circuit – we both know it wasn’t our skills that did it. If you’re planning on playing around on a circuit, those clever computer systems might save you some repair bills! Verdict from Carsnip’s Editorial Chief, Tim Barnes-Clay. This is one of the finest front-wheel drive performance cars ever made. It’s incredibly quick, very capable, and yet still easy to drive if you don’t want to be a hooligan. 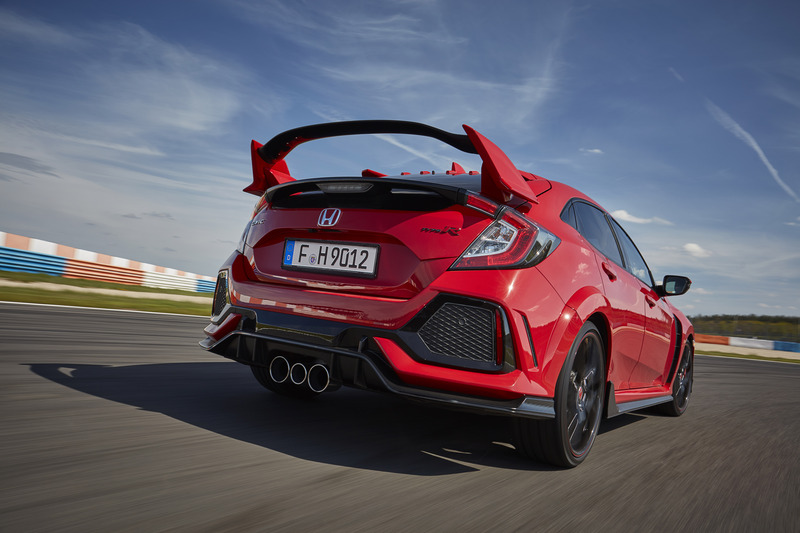 A big improvement on the last car, and a stunning show of Honda’s performance engineering prowess. ​What are the best four seater sports cars?